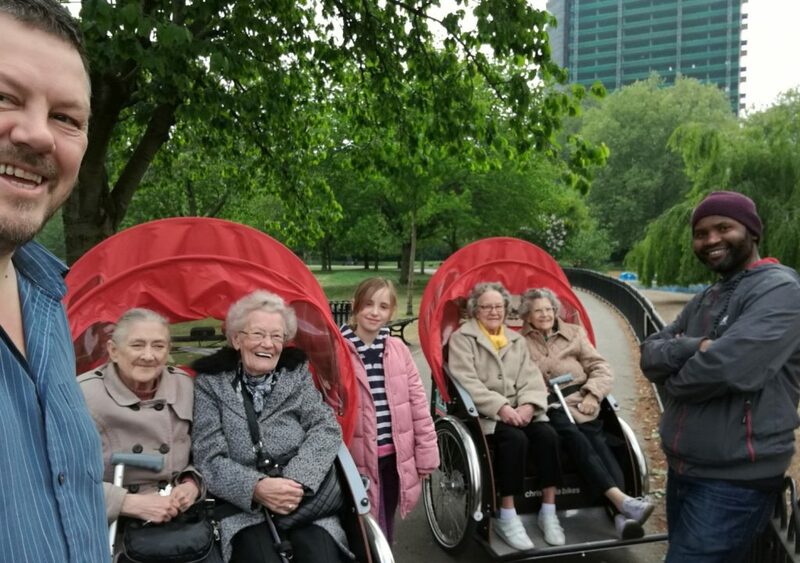 With the support of Groundworks London, we have set up a branch of the international Cycling Without Age initiative in Rotherhithe. 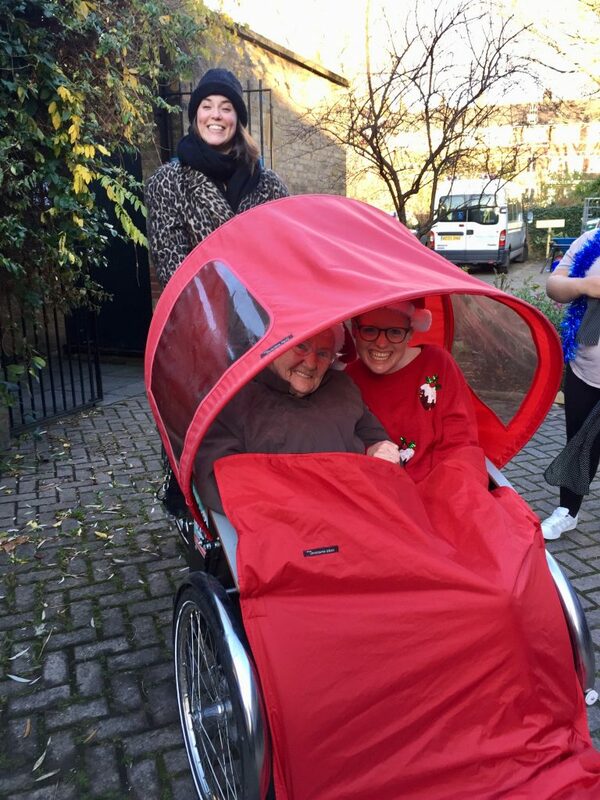 Cycling Without Age is a movement started in Denmark in 2012 by Ole Kassow. Ole wanted to help the elderly get back on their bicycles, but he had to find a solution to their limited mobility. The answer was a trishaw and he started offering free bike rides to the local nursing home residents. 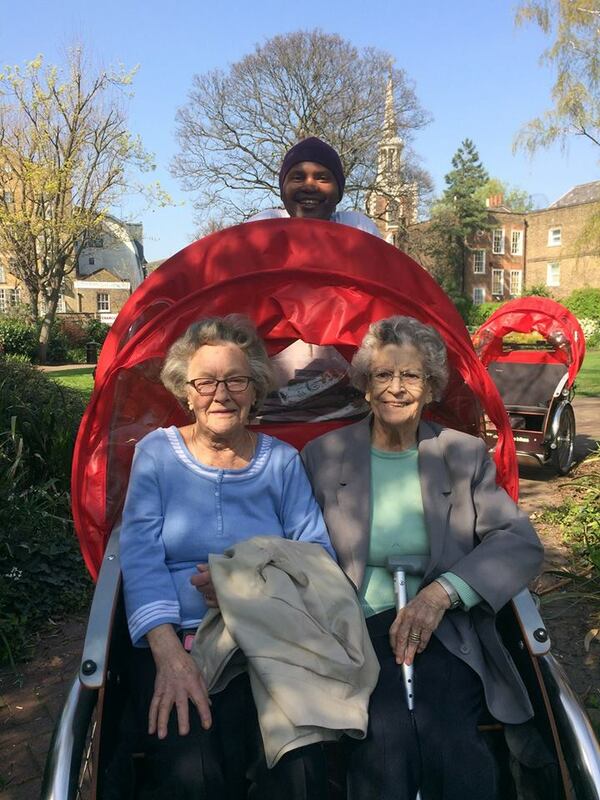 Volunteers (pilots) sign up for bike rides with the elderly as often or as rarely as they want to. It’s a great way to stay fit and healthy in the outdoors, give something back to your community, get to know new people, and just have fun! 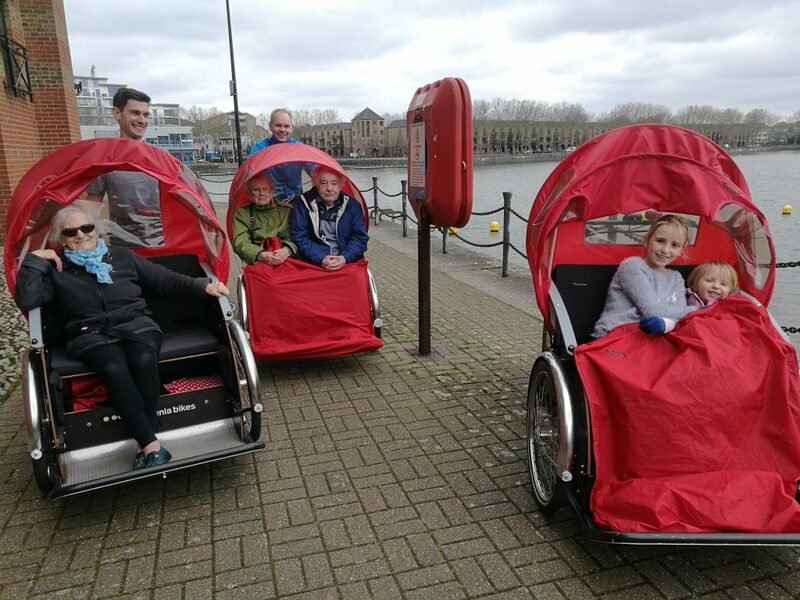 More than 200 chapters around the world offer Cycling Without Age from well over 1,000 trishaws – and the numbers are still growing. 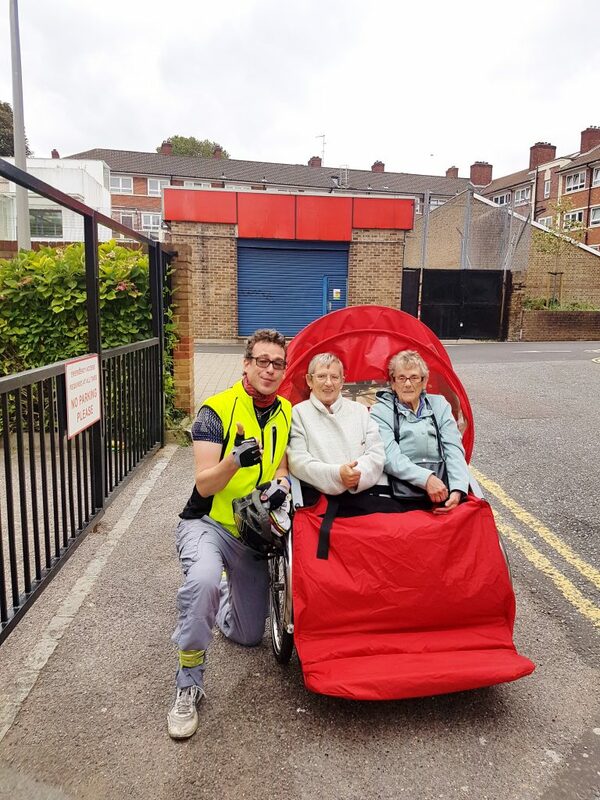 More than 6,000 pilots ensure that the elderly get out of their nursing homes, out on the bikes to enjoy the fresh air and the community around them. They give them the right to wind in their hair. We’re still recruiting experienced cyclists who would like to volunteer to get involved with the scheme! 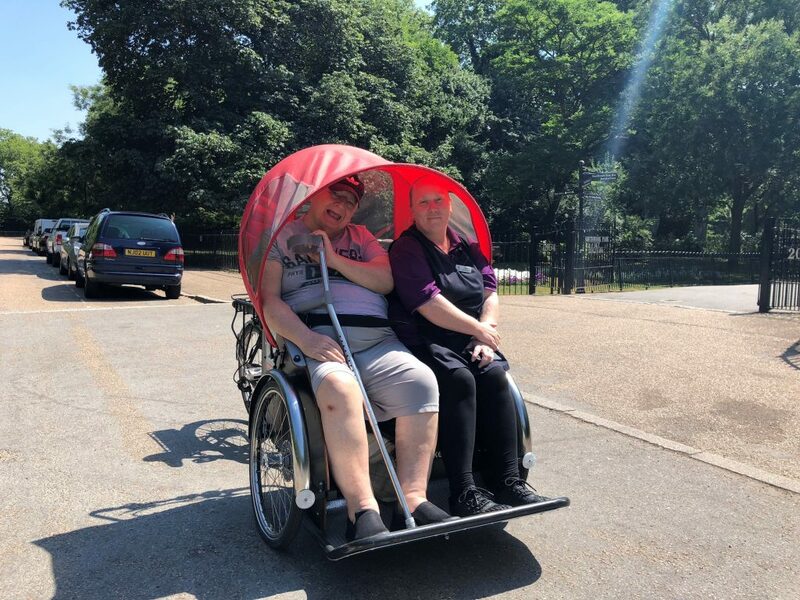 We have three trishaw bikes and are planning to introduce more weekly rides, and introduce new homes to the scheme across 2019. Get in touch now and we’ll get you on board!